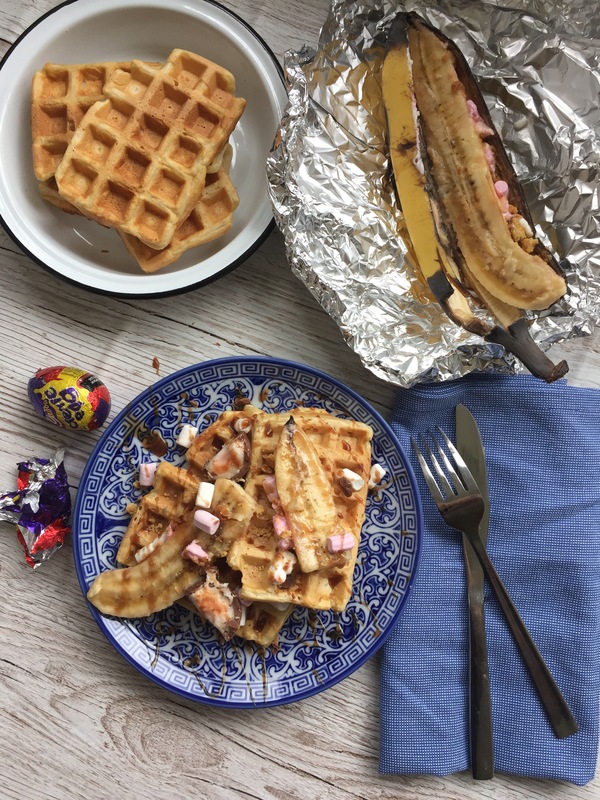 With my obvious obsession, the lovely Cadbury UK team sent me the most eggciting package I have ever received in the post and you have them, along with London’s Rinkoff Bakery, to thank for this recipe below – it’s the perfect Easter brunch. 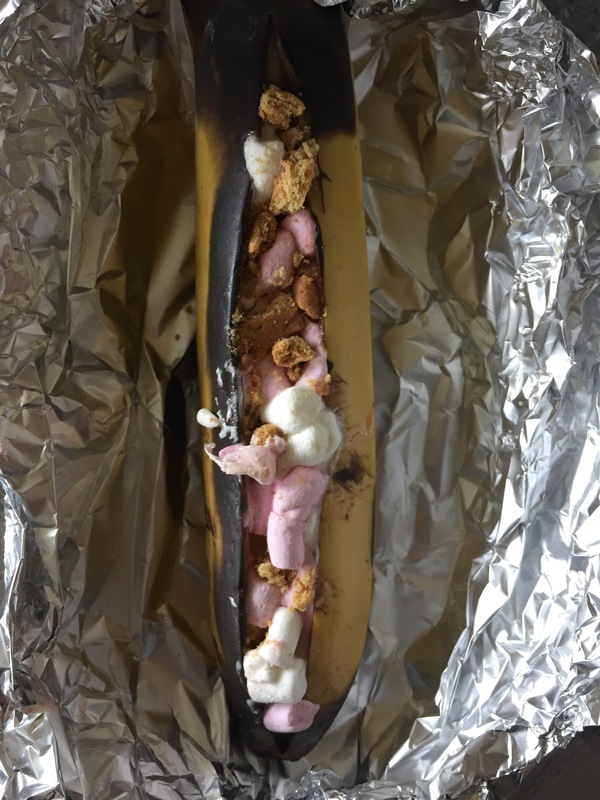 These grilled banana boats are super easy to make, the banana almost caramelises as it’s baked which is perfect with the gooey melted marshmallows and Creme Egg ganache. 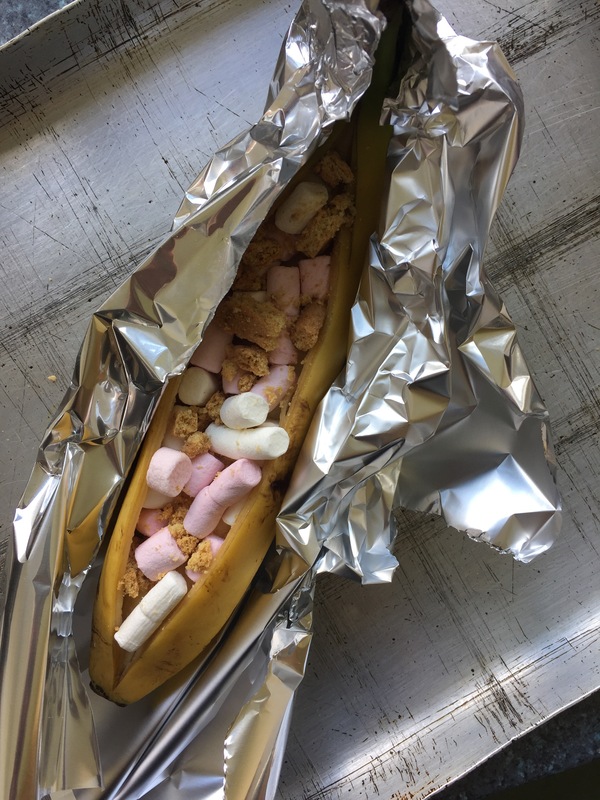 The crushed pecans add a crunch and a savoury edge which I loved but I also substituted these for crushed digestives (think S’mores meets Creme Egg – dreamyyyy) for my younger sisters. 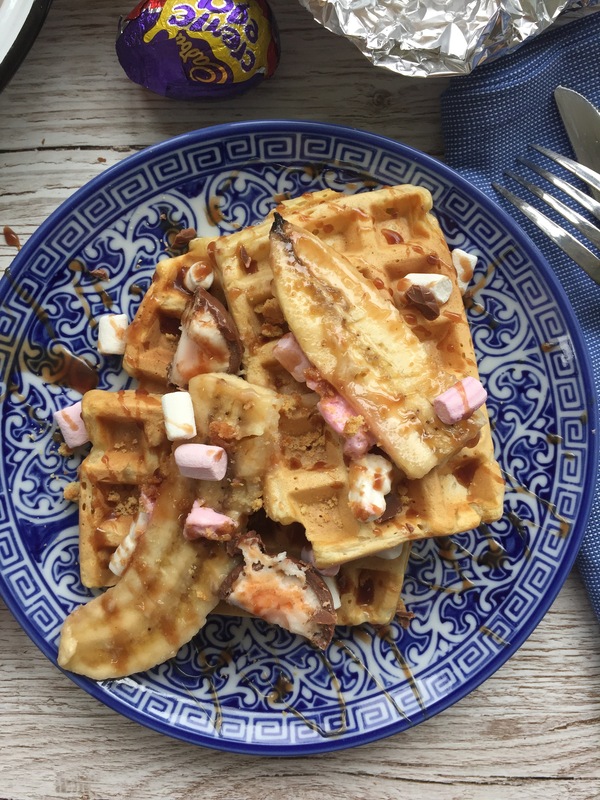 You can enjoy these on their own as a dessert or top them onto some Breakfast Waffles which I’ve included the recipe for below. This will require a waffle iron though. This is just one of the recipes Rinkoff Bakery have created with Cadbury Creme Eggs and I have my eyes on their Meringue Nests and Mini S’mores Brownie cupcakes next but I’ve been seriously lacking in time these past few weeks so may make a trip to the bakery this weekend! Tips: The ganache is really simple to make, just keep an eye on it as you come close to the time given and have faith, it will come together. Note: I received no payment to post this content.